We offer a modern solution of straightening your teeth through clear aligners, made specifically to fit your mouth. Straight, even teeth don’t just look good; they’re better for your oral health. Because misaligned teeth can’t always be flossed properly, they’re much more prone to decay. And because they throw off your bite, misaligned teeth can also lead to cracked teeth and jaw problems. Metal orthodontics used to be the only option for people wanting straighter teeth. However, many patients are put off at the prospect of wearing uncomfortable and unsightly bands and brackets. Fortunately for them, Invisalign can straighten even the most severely crooked teeth as effectively as regular braces. And, the Invisalign system has several advantages over traditional orthodontics. Designed for teens and adults, Invisalign uses a series of clear, removable plastic aligners that gradually move your teeth into the desired position. The aligners are barely noticeable when worn. They can be removed for pictures and special occasions, as well as for brushing and flossing. Because of this, Invisalign also has the advantage of allowing better dental hygiene than with traditional braces. Invisalign is used to treat a vast majority of common problems, and our doctors can tell you if this orthodontic option will work for you. 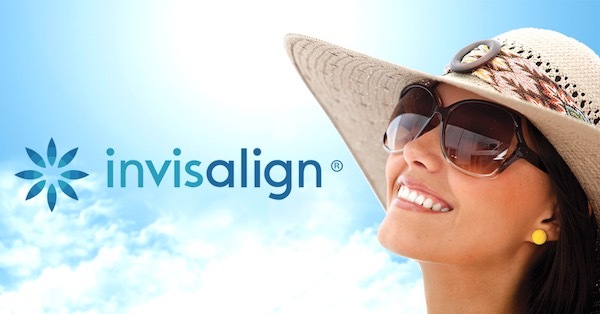 If you'd like to learn more, click here to visit the Invisalign website.